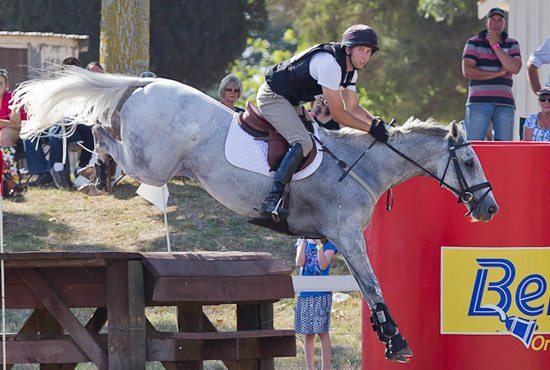 The CCI3* (Advanced) class at the NRM National Three-day Event at Taupo over the weekend was the final event in New Zealand’s year-long Bell Tea Super League, but the three top places were unchanged despite none of these combinations being there. The winner, Simon Gordon with Fletch.com, could not be overtaken, so Gordon opted to rest his horse following the Trans-Tasman trip at the end of April. Young Rider Ashleigh McKinstry, lying second with Pioneer Makokomiko, who is also resting after jarring up earlier this autumn, was unassailable in both the Super League and at the top of Massey University Young Rider series. The battle was for third place at Taupo, where double points were on offer. Donna Smith and Just Chocolate could be caught by Bryce Newman and Bates Trademark if they won. They went close, placing second behind none other than Smith on her younger horse Balmoral Tangolooma. This resulted in Smith moving up from sixth to fourth place on Balmoral Tangolooma, demoting Newman and Bates Trademark to fifth, while Dannie Lodder and Moochi, who is also resting after making the trip to Sydney last month, dropped to sixth.